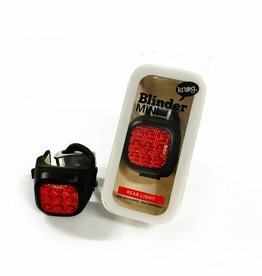 Knog Blinder Mini Niner Front Black - J.C. Lind Bike Co. 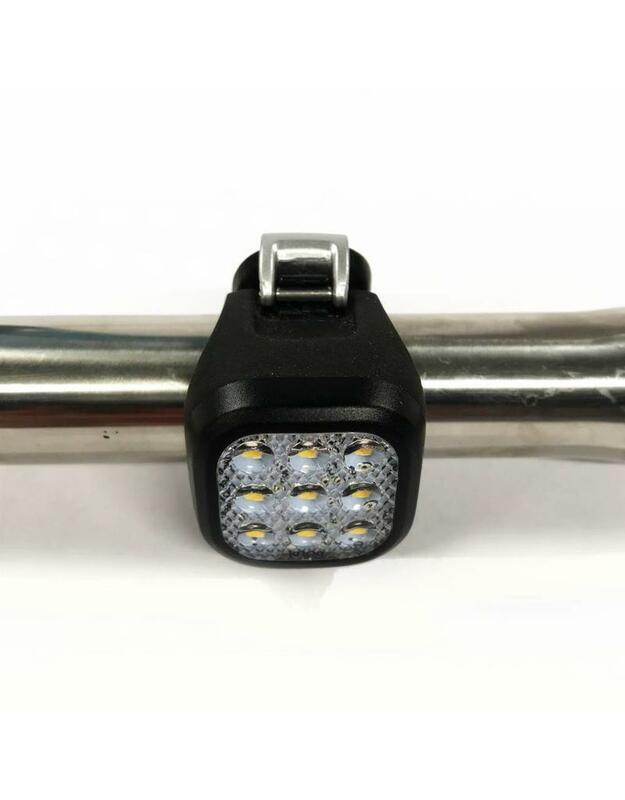 Even for customers of ours who are generally well-equipped with dynamo lights, there are some gaps which the Knog Blinders fill nicely. Bromptons without dynamos, or Nihola trikes, or any outside customer with a dynamo-less bike may need lighting for city riding. If so, this is the light that we'd point them to. These lights are rechargeable with a USB stick which integrates nicely into a waterproof design. 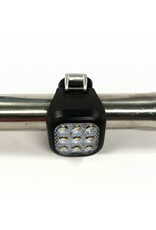 Both front and rear lights have 9 LEDs, with the front providing 20 Lumens and the rear providing 11 Lumens. Each light has 5 functions, so you have a variety of flashing patterns to choose from. Generally, flashing modes use less of the battery so that mode is recommended for the city. 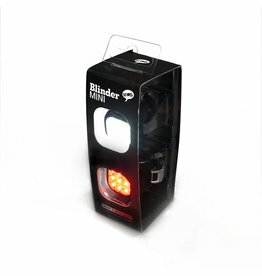 Note that the Knog Blinder is sold as a set (front and rear) and as individuals. This is the single white, front light. 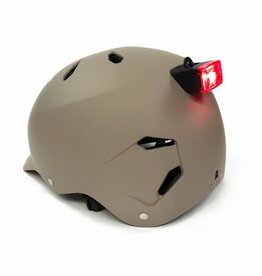 Bern created these USB rechargeable lights that attach to the back of their helmets, which is great because helmet lights, being higher up, are in the eyeline of motorists. 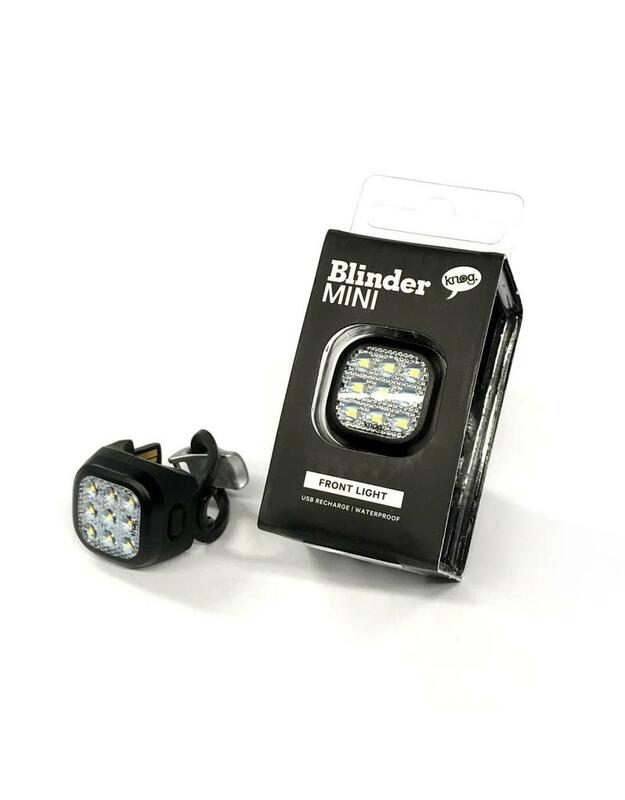 USB rechargeable Knog Blinder Minis are great lights that allow others to see you without being too bright. Sold as a front and rear set & as individuals, this is the set. 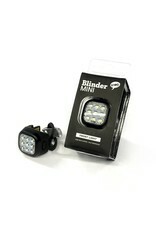 USB rechargeable Knog Blinder Minis are great lights that allow others to see you without being too bright. Sold as a front and rear set & as individuals, this is the single red, rear light.